My toenail hurts. I pray for it. Nothing happens. I lay holy hands on it. I wash them afterwards. No lightning bolt out of the sky. Electricity is how we know God is real, isn’t it? But no lightning. I have an ambiguous relationship with Christian healing. I believe in it. I pray for it. I have heard friends talk about miraculous healings – legs that grow longer overnight, cancers that disappear, heart problems suddenly resolved – but God has never healed me of more than the common cold. Small blessings don’t count, right? It has to be major and undeniable, impossible to attribute to other causes. If there is one common message from these three histories of Christian healing it is that I am not alone. For two thousand years Christians have wrestled with what to expect from God’s healing touch, how to expect it to come, and how to pray for it. Healings come in waves and according to the fashion of the day. The desert father Palladius ( -309) laid hands on a boy possessed by an evil spirit and prayed; the boy’s body swelled up until he seemed to be suspended in air then water began gushing out of his body and the boy was healed. The medieval crusader Simon IV de Montfort (1165-1218) appeared to a monk in a dream, told him that he needed surgery, and then pricked his foot which leaked a nasty-looking fluid all over the bed and he was healed. When John Wesley (1703-1791) began talking about the healing power of God he described it as a type of electricity – and established hospitals electrifying the sick to make them well. Modern Protestantism’s obsession with faith healing is different from earlier healing movements in its emphasis on the sick person’s faith (a product of modern psychology’s insistence that the mind can heal the body), in its notion that power flows from the healer to the patient, and in its rejection of relics and other sacred objects as vessels of healing power. But it remains firmly within a long and rich Christian tradition of God healing people because He loves them. 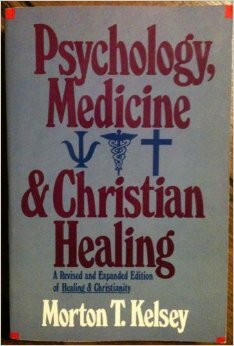 Morton Kelsey’s Psychology, Medicine and Christian Healing (1988) is a revised and updated version of his popular Healing and Christianity (1973). Before his death in 2001, Kelsey was an Episcopalian priest and professor at the University of Notre-Dame. He ran healing services himself and frequently saw people who he prayed for being healed. 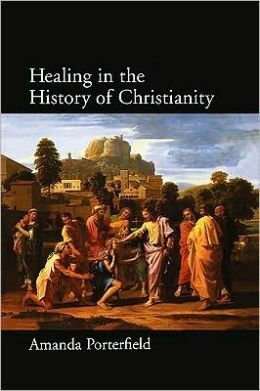 Kelsey’s concern is that many Christians do not believe that God still heals, and after a brief summary of the skeptics’ positions he launches into a polemical but – for it’s day – groundbreaking history of Christian healing. Kelsey argues that whereas the early church cherished supernatural healing, it stopped seeking it from Gregory the Great (540-604) onwards because preachers and theologians argued that God sends illness to punish and refine us. Thomas Aquinas (1225-1274) ignored supernatural healing almost completely and saw no reason why God would do it unless He wanted to demonstrate His power to unbelievers. By the late sixteenth century, in some places Roman Catholic doctors were only given their medical licenses if they promised not to treat patients for more than three days who had not been to confession. Heavily influenced by the psychoanalytic theories of Carl G. Jung (1875-1961), Kelsey insists on a distinction between the material and spiritual realms, and believes that God heals a broken and distorted psyche when He touches the soul, which in turn produces physical healing. A historian of American religion, Amanda Porterfield takes a very different approach in Healing in the History of Christianity(2005). The book does not start well. After a lack-luster introduction she dedicates her chapter on “Jesus: Exorcist and Healer” to a survey of liberal interpretations of the gospels from her hero Albert Schweitzer through Rudolph Bultmann to the Jesus Seminar and John Dominic Crossan. 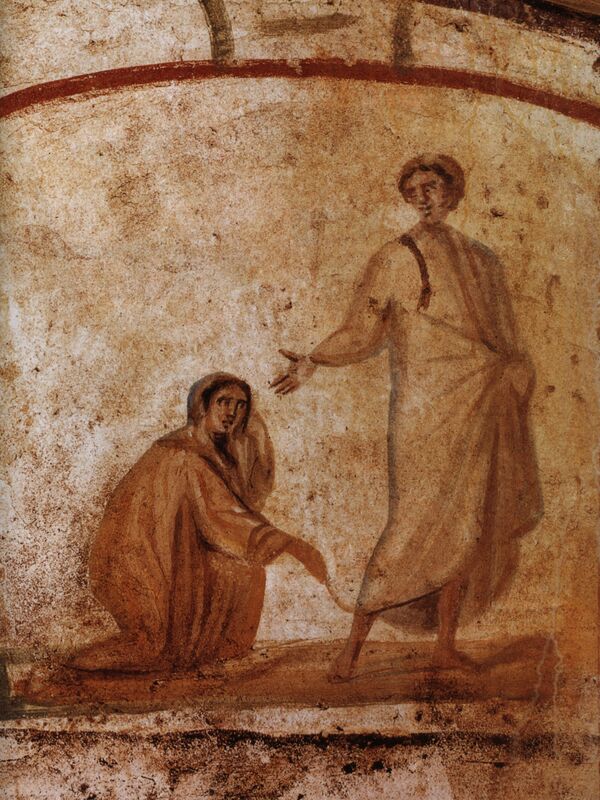 Her point is that modern interpreters have marginalized the miracle-stories in the gospels but she tells us almost nothing about Jesus’ healing ministry or the role of healing in the ancient world. Her scholarship improves as the book progresses but remains more of a disjointed intellectual history than a cultural history of Christian healing. The book’s real strength lies in Porterfield’s insistence that scientific medicine stands side-by-side with prayer as a cornerstone of Christian healing. She shows how faith healers in medieval monasteries worked together with doctors, sending them patients who they thought needed a doctor’s care and receiving patients from the doctors in turn. When medical missionaries such as Schweitzer went to Africa and China, their healing ministries spoke louder than their sermons about the love of God. The elephant in the room that neither Kelsey nor Porterfield deal with adequately is the Pentecostal movement, which is admirably treated by another historian of American religion, Candy Gunter Brown. 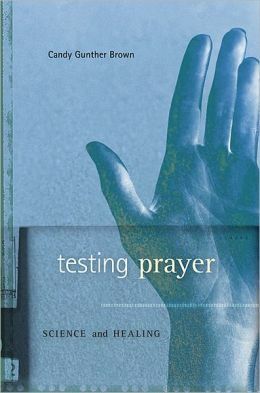 Brown’s third book, Testing Prayer (2012) examines how scientists and Pentecostals feel about proving that supernatural healing really took place. Whereas Christians were reluctant “to put God to the test” when skeptics challenged them to run scientific tests of prayer healing in late nineteenth century England, in twenty-first century America it is the scientists who panic whenever someone suggests testing prayer. The Toronto Blessing is the focus of Brown’s research, and she argues persuasively that healing lay at the heart of the revival movement that began in Toronto in 1994 and then spread across the globe. With meticulous attention to detail, Brown maps the creation of an international charismatic movement united by personal ties rather than institutional affiliations. She effectively rewrites the history of Pentecostalism by showing that revivals began in Wales, India, Chile, and Australia before William Seymour’s meetings on Azuga Street in Los Angeles channeled their energy into what is usually seen as the beginnings of the Pentecostal movement. Brown insists that patient medical records are just as culturally constructed as believers’ testimonies, and ran her own studies of intercessory prayer on several continents. She finds evidence that prayer does influence healing although not in clear or demonstrable ways. Most importantly for her as a historian, belief in the healing power of prayer has a social impact. It reinvigorates believers’ lives, inspires them to spread what she calls “love energy” to their families, friends, and to visit people on the other side of the world to share God’s love with them. Regardless of how God heals people, anything that helps us love one another can’t be a bad thing, can it?